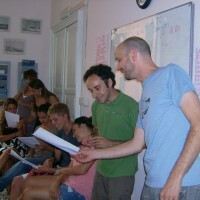 L'Ecole de langue italienne pour étrangers A DOOR TO ITALY, créé en 2002, a été le premier établissement d'enseignement de l'italien comme langue étrangère à Gênes, près de Portofino et les Cinque Terre. Tous les cours de langue sont offerts tout au long de l'année dans nos locaux au cœur de la ville dans un bâtiment élégant et fascinant du XIXe siècle avec des salles de classe grands et ensoleillés, un balcon, un salon avec coin café et collations, gratuit points internet, connexion WiFi et un point d'information Bienvenue à découvrir prévues culturelles et activités de loisirs. Pour nos étudiants, nous offrons une vaste gamme d'options d'hébergement de base jusqu'à des solutions de niveau élevés, afin de garantir à nos étudiants un séjour agréable de logement. Basé sur 16 les avis des étudiants. "Je suis ravie d'avoir fait le choix d'étudier l'italien à l'école "a door to Italy", à Gênes . ..."
Réponse de A Door to Italy - Italiano per Stranieri: Thank you Dafna for your feedback. We really appreciate and are glad you enjoyed the school and location. Ho pe to see you again in the future. Lara, Gaia, Federica, Camilla and all the teachers. A Door To Italy is located in Genova, a very attractive and pleasant Italian city. The school is in the center of Genova. We were 3-5 students per lesson. My Italian teacher had excellent skills to teach Italian to foreigners: good partition between conversation and lessons, lessons adapted to student levels, clear explanations with good examples. She was also very lively and funny. Altogether, this was a very good experience. Réponse de A Door to Italy - Italiano per Stranieri: Thank you Philippe for your feedback. We really appreciate and are glad you enjoyed the school and location. Ho pe to see you again in the future. Lara, Gaia, Federica, Camilla and all the teachers. I had a great experience in this school. The teachers are amazing and devoted to their work. They have a very good eductionnal approach. 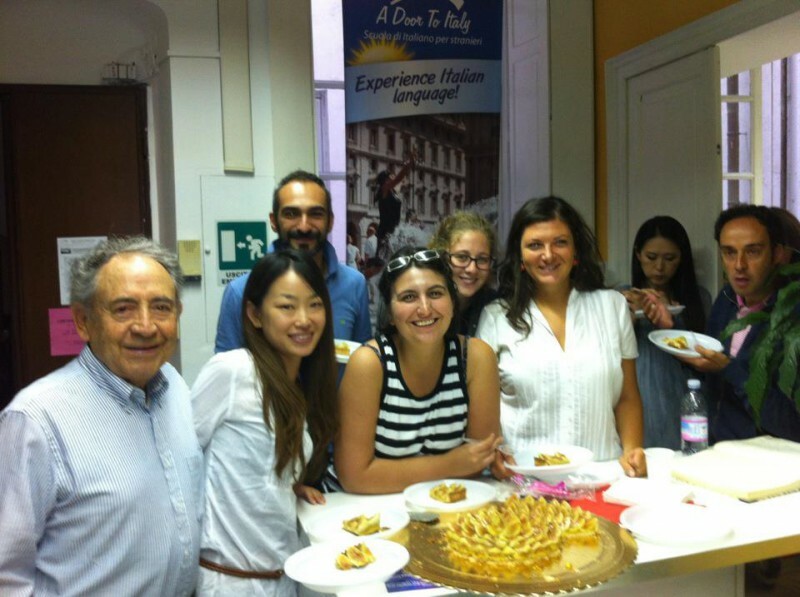 I learnt a lot during my stay and I really improve my italian. I definitively recommand this school which is also good located in the city center. Réponse de A Door to Italy - Italiano per Stranieri: Thank you Tiphaine for your feedback. We really appreciate and are glad you enjoyed the school and location. Ho pe to see you again in the future. Lara, Gaia, Federica, Camilla and all the teachers. 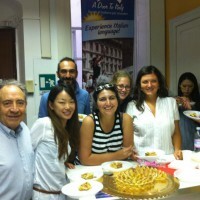 A Door to Italy is an excellent school for foreigners wishing to study Italian. The staff is extremely helpful - the teachers are all excellent and the level is tops. I have attended a number of Italian Schools and this is one of the best. I highly recommend it. You will not be disappointed. This is the best school of Genova by far! I had an amazing time there and really really improved my italian. Francesca and Federica (my teachers) are best you can get and I definitely recommend them 100%. The methodology is really good, they have 2 teachers in the morning and besides that have a lot of free activities to integrate the students. I've attend another school (that was more expensive) in Genova before that I a assure you that one is much better. Thank you for making my life better! 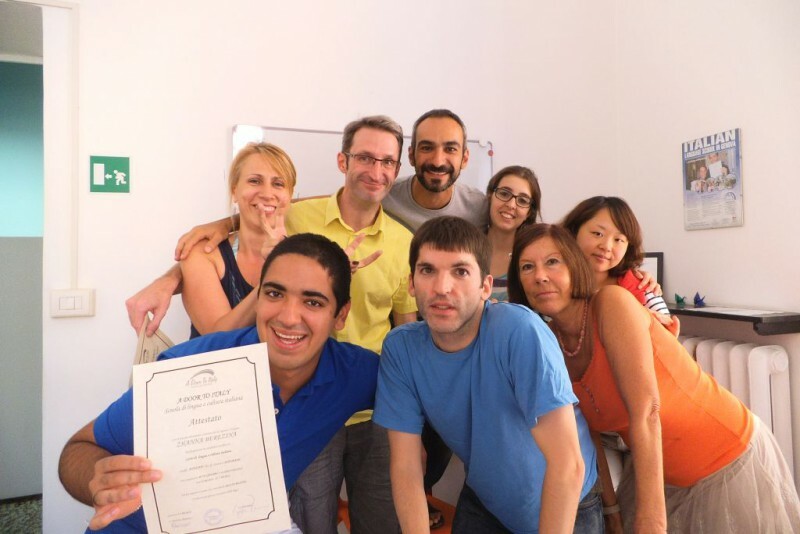 A Door to Italy is a highly recommendable language school. A very intensive work in small groups, good teaching material, a great emphasis on listening, excellent teachers. Me ha encantado la semana en A Door to Italy y ¡¡¡¡seguro vuelvo este año!!! I was studying at A door to Italy for 2 weeks in class and one week online. The classes are good with a lot of variety in the way of teaching. The teachers really makes you speak and to practice a lot. I enjoyed my class very much and look forward when I'm able to go back to learn more! I learned more than I thought I ever would. This immersion had me having conversations outside of school with some idea of what to do or say with the culture. It also had me asking how to ask to say things with others in the community making them appreciate that outsiders try and want to learn. Ho studiato a A Door to Italy per una settimana quest'estate, ma ho studiato qui per 7 settimane maggio/giugno 2014 e 6 settimane maggio/giugno 2013. Sono molto contenta can la scuola e l'insegnamento. Sono tornata tre volte perche' ho imparato tantissimo e la scuola era perfetta per me! Vi consiglio! A very good language school. 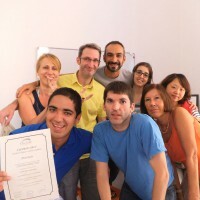 I went here for 8 weeks, starting with a moderate understanding of Italian and building confidence when speaking and with grammar. They are very flexible and helpful, with small (maximum 8 pupils in my classes) class sizes and a range of teachers. Grammar teaching is integrated into other activities so is less rigid than some language schools. The teachers and admin staff are very helpful and friendly, so overall definitely a school I would recommend. Ho frequentato 'A door to Italy' per piu o meno sei mesi, e devo dire che sono assolutamente contento, non c'è niente su cui potrei lamentarmi. Il personale e gli insegnanti non sono solamente bravi, ma sono anche simpaticissimi. Per me era un piacere di venirci ogni mattino e - ancora piu importante - ho iniziato come principiante totale e mene vado con delle conoscenze profonde di questa lingua. Exprimez-vous, et aidez les autres à choisir la meilleure école de langue..
La dernière réservation pour cette école a été faite en Gabon avec une réduction de 135,00 €!